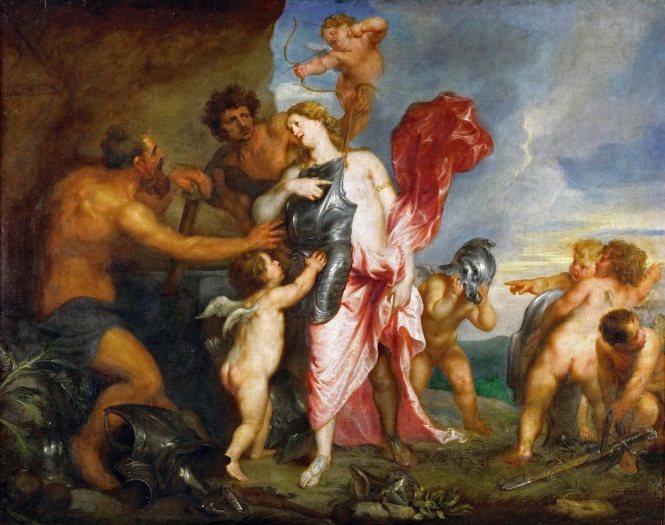 Thetis receives the weapons of Achilles from Hephaestus. Painting by Anthony van Dyck, ca. 1630-1632, now in the Kunsthistorisches Museum, Vienna, Austria.